Dried seafood including squid and fish. In Lao, dried meat is called seen hang ຊີ້ນແຫ້ງ. You may be thinking, why so much dried meat goods? Primary reasons are that it makes it portable and it gives it a longer shelf life. 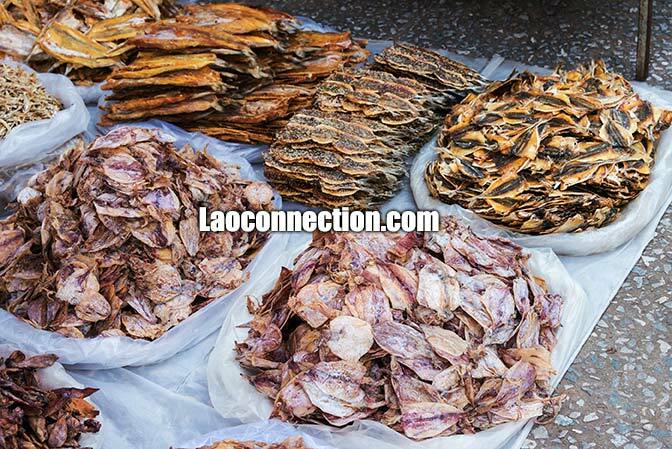 Here are some examples you'll find in Lao markets. Dried squid, jerk meat generally made from beef but they also do fish, dry or salted whole fish or dried whole birds or other small animals. It's a favourite among many Lao. But it also serves a real purpose as prior to refrigeration, dried, salted, and preserved meats were the only options to keep meat from spoiling. How do you prepare it? Most people either pan fry them in oil or heat them over a hot flame, bbq style. 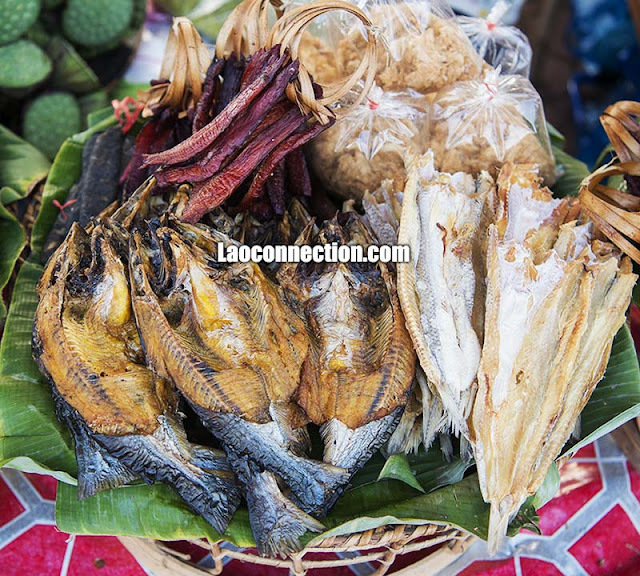 It's often eat with a handful of sticky rice and Lao jaeow (dipping sauce).